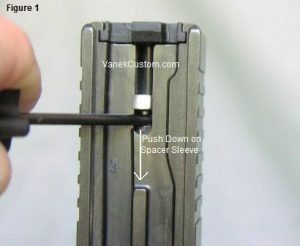 Instructions written in black are for disassembly. 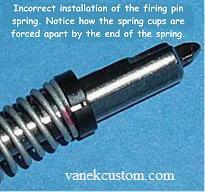 Instructions written in red are for reassembly. 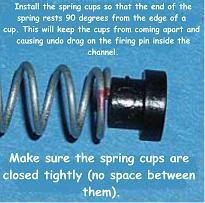 Install the parts in reverse order as above and don't force anything! 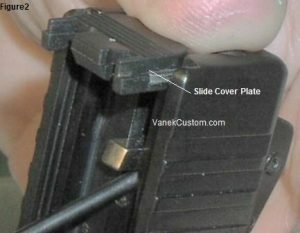 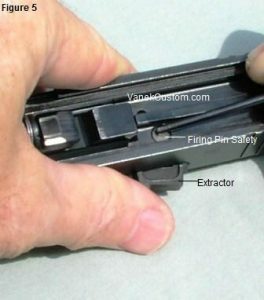 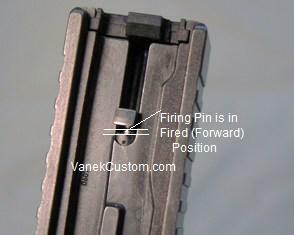 The picture above on the left shows the firing pin in the forward (fired) position which helps when you put the slide back on the frame after the trigger kit is installed. 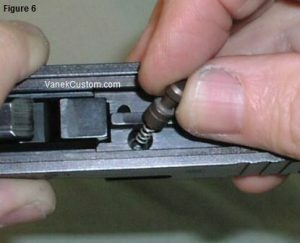 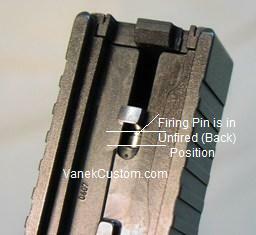 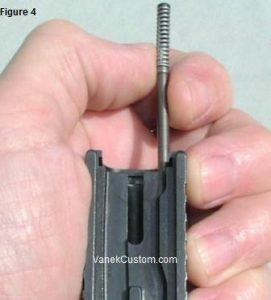 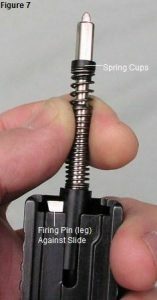 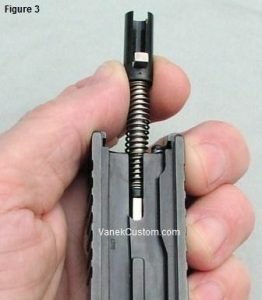 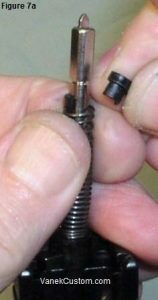 Use your thumb or disassembly tool and push on the firing pin safety to let the firing pin move forward.